Our product range includes a wide range of open roman blinds. Open Roman Blinds are new age version of roman blinds which are made very delicately. 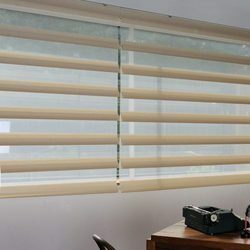 These blinds are a fusion of Roman Horizontal and Roller Blinds. These blinds have a unique feature of coming down like a roller blind. And opens folding back like a Roman Blind giving your room the perfect look.